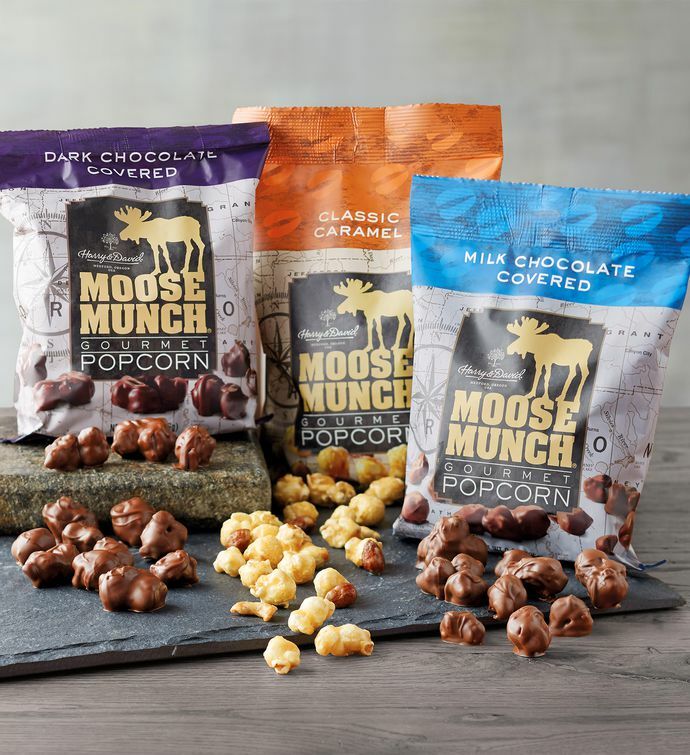 Moose Munch® Premium Popcorn is perfect to take on the trail—a go-anywhere snack that you can enjoy by the handful. This snack pack includes a trio of classic flavors: milk chocolate, dark chocolate, and classic caramel, each crafted with premium ingredients in our candy kitchen. 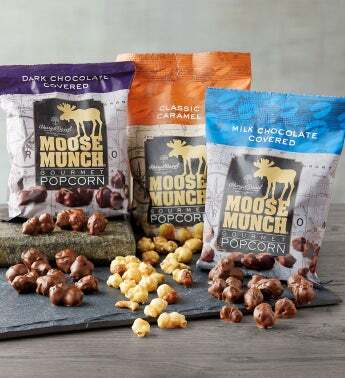 Make Moose Munch® Premium Popcorn your new trail mix, pass a bag around the campfire, or enjoy from the comfort of your sofa. It's your crunch, so hit the trail and snack your way.